Just before Christmas I invested in a PiRingo board which was a KickStarter Project. 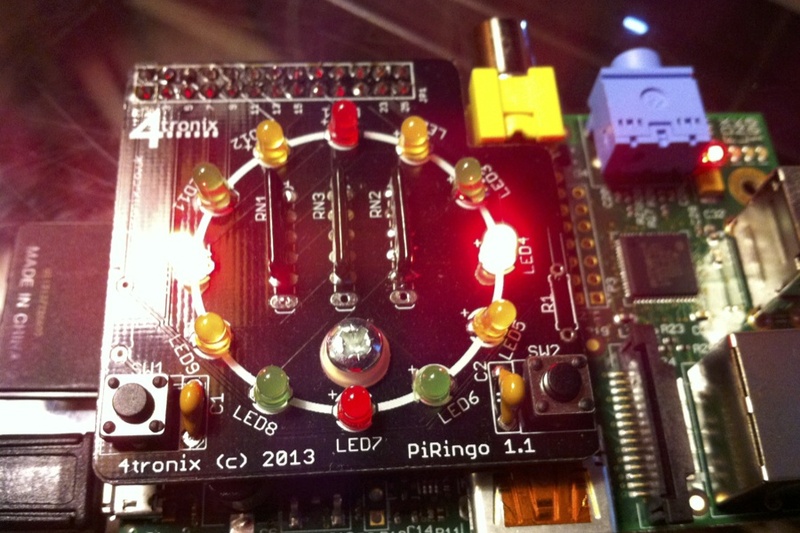 This is a small board which plugs directly into the Pi GPIO pins and it contains a ring of 12 Leds and two push buttons. There are a variety of led colours and configurations available. 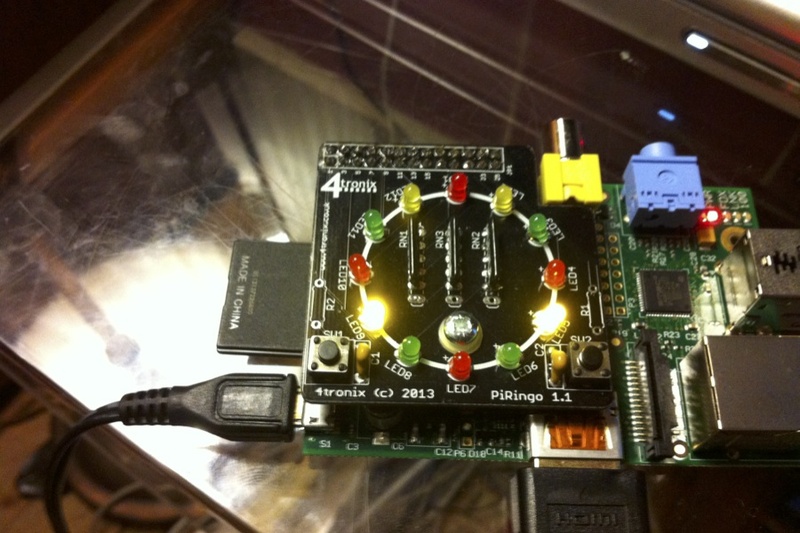 I chose the Christmas Wreath/Traffic Lights board which has 4 each of red green and yellow Leds. I bought this as an easy way to explore the I/O functions of the Raspberry Pi, and also as I wanted to use it with my eldest Grandson (aged 5) to get him interested in using the Pi. 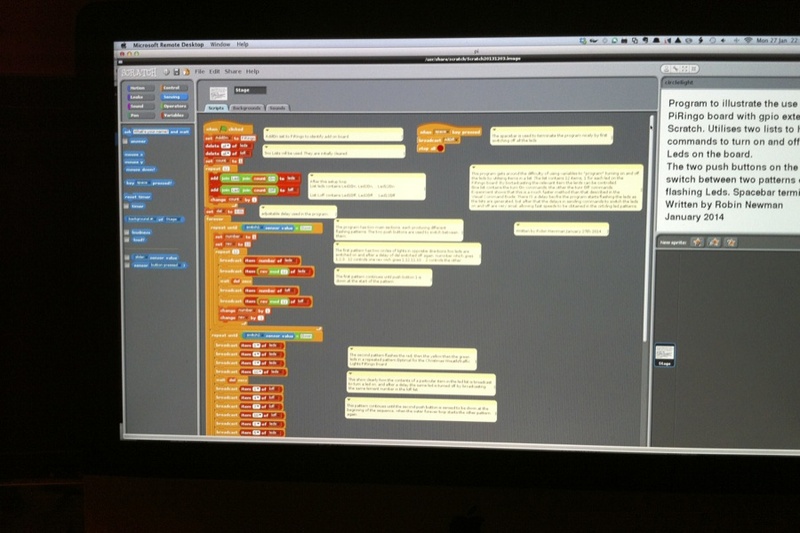 Sample Python programs are available, but I chose to use the gpio extensions to Scratch, which also support the board, as the software is more appropriate to a 5 year old. I developed a scratch program to show two different patterns of flashing Leds, which also used the two push buttons to select which pattern is displayed. If you have a Pi and have not yet delved into the control side of things, then I can recommend this as a very convenient and cheap way to try things out. Not much updated here recently. Partly because I have been spending some time with one of my other interests….Technical Lego. I recently acquired one of the new EV3 sets, and I have started another blog Lego-ev3 rbn which currently details one of the small projects I have undertaken. You may care to look at it too.